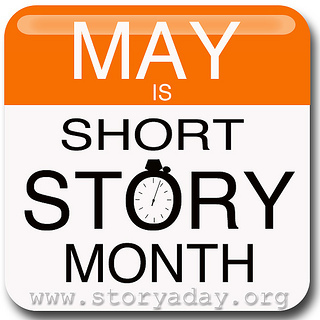 Today kicks off Story Story Month, and to celebrate, I’m going to try once more (as I did last year) to post about a short a day. But since the beginning of the month here falls smack in the middle of the end of the semester and the start of Malice Domestic, I’m having to stockpile a little on my posts here. To that end, let me recommend four-plus short stories to cover today and the long weekend at Malice ahead—and fittingly, the stories I’ll recommend are those of my fellow finalists for this year’s Agatha Award for Best Short Story! The range here is impressive. Barb Goffman‘s two nominated stories look at revenge and retribution—both in the moment and in retrospect (chilling each of them and diabolically clever). Gigi Pandian takes us behind the scenes of a magic show, where seeing isn’t entirely believing, as the title magician proves when he turns sleuth to solve a murder. And Barbara Ross takes us behind the scenes as well and into the life and history of a fantastically famous TV and lifestyle celebrity—courtesy of an executive assistant who knows how both how to keep a secret and how to find out the truth behind one.